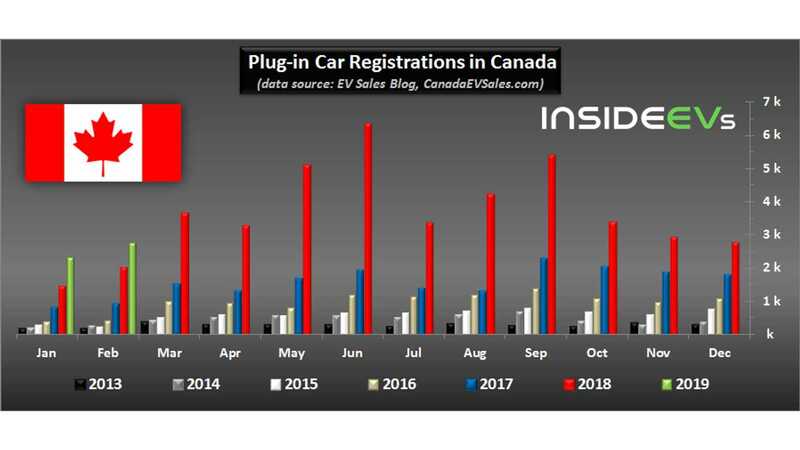 Plug-in market share turns to be slightly higher than in U.S.
Plug-in electric car sales in Canada started the year 2019 with reasonable growth. In February, over 2,700 plug-ins were sold, according to EV Sales Blog estimations, which is 38% more than a year ago, at a market share of 2.2%. During the first two months, sales exceeded 5,000 at a growth rate of around 45%, significantly better than in the U.S. 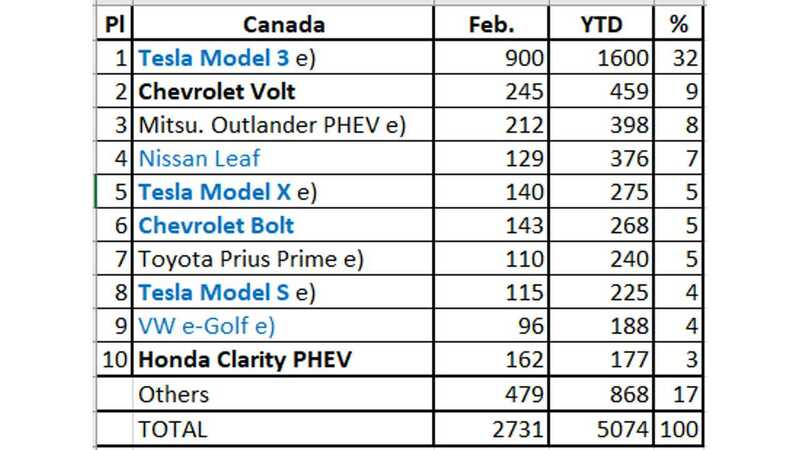 The best-selling electric car in Canada turns out to be the Tesla Model 3, which as the lone leader took one-third of the market. 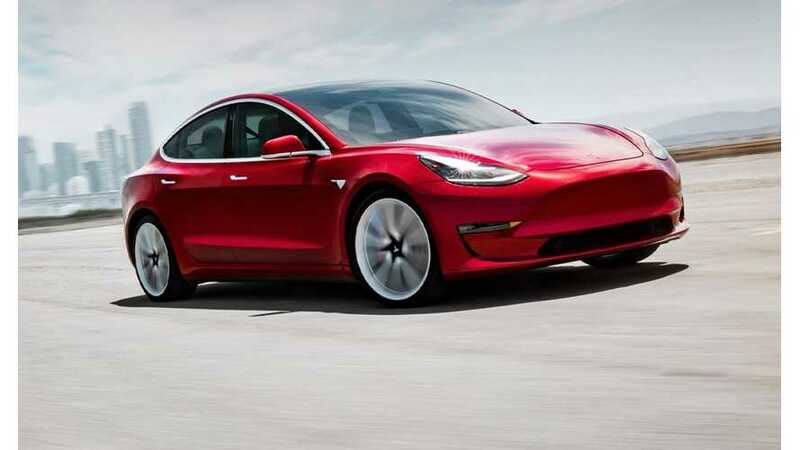 With the introduction of Standard battery versions, Tesla's lead is expected to increase even further over the year.